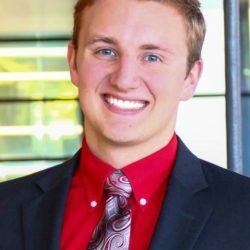 Mason LaMarche is a first year medical student at the University of Iowa Carver College of Medicine. He is a founding member of the Personal Genome Learning Center at Iowa and the DNA Monthly Interest Group of Iowa City. In the lab, Mason studies the genetics governing Charcot-Marie-Tooth disease. He is interested in the intersection between public genetic literacy and positive clinical outcomes which are made possible through genetics. In his free time, Mason enjoys reading and writing poetry.